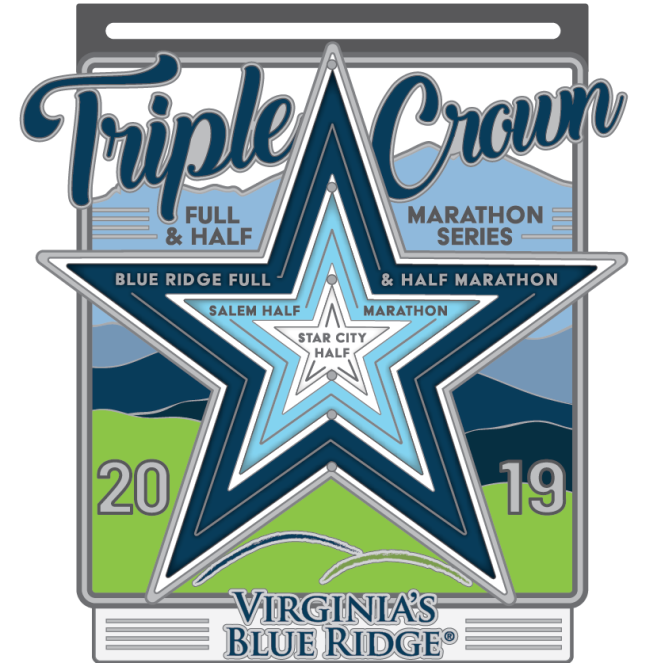 For the second straight year, Blue Ridge Racing and Visit Virginia’s Blue Ridge have teamed-up to challenge runners with an added incentive to complete the area’s three most popular half marathons to earn the 2019 Virginia’s Blue Ridge Triple Crown finisher’s medal. 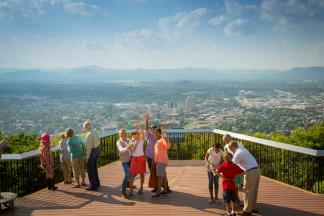 “The growth in popularity of Virginia’s Blue Ridge as an attractive place to visit, live and run contributed to establishing the Triple Crown. Last year’s stats indicated 20% of the medal recipients were from outside of the local area. We are confident this will draw more interest and more runners again this year,” said Molly Bullington, owner of Blue Ridge Racing, LLC and race director of the Blue Ridge Marathon and the Salem Half Marathon. “Since the establishment of VBR Sports a division of Visit Virginia’s Blue Ridge in 2018, initiatives such as this have been increasing the economic impact to the region and enticing visitors to discover more diverse sports and activities. Our goal is to increase awareness and return visits to Virginia’s Blue Ridge,” said Bree Nidds, Director of Sports Development for Visit Virginia’s Blue Ridge. This year’s Triple Crown medal features three concentric stars that spin on their central axis. The stars bear a resemblance to the Roanoke Star on Mill Mountain, a landmark included along the Blue Ridge Full and Half Marathon race course. 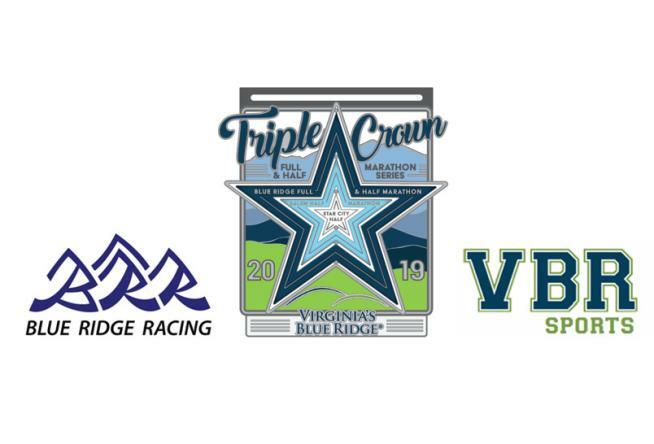 More details about the Triple Crown can be found at www.blueridgeracing.net.